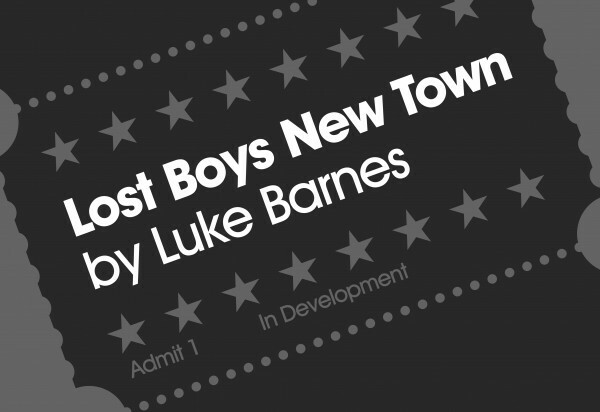 West Lancashire College are delighted to host 2 performances of local playwright Luke Barnes’ Lost Boys New Town, in the college’s Hope Theatre this September by the prestigious National Youth Theatre. This is an exclusive first look at the latest work by NYT Alumnus Luke Barnes (All We Ever Wanted was Everything, Bottleneck), directed by Zoe Lafferty (The Host, Queens of Syria) and performed by some of Britain’s brightest young talent. Set in a northern ‘new town’, Lost Boys New Town explores themes of identity, place and masculinity with humour, heart and theatrical invention. Luke Barnes is an award-winning northern playwright from Formby, Liverpool. His first play Chapel Street was selected as one of the top 5 new plays off the West End in 2011 by The Stage and he was shortlisted for an OffWestEnd.com award for most promising playwright. Zoe Lafferty was recently named one of Vogue’s Major Players of British Theatre and Vanity Fair’s 14 British Theatre Talents Ready to Break Out. The National Youth Theatre of Great Britain is a world leading youth arts organisation. They were established in 1956 as the first youth theatre in the world and since then have nurtured the talent of hundreds of thousands of young people. Join them at West Lancashire College for what’s set to be a fabulous performance.